This satellite image interpretation shows a landslide inventory map produced by the British Geological Survey. The scale of mapping was between 1:1,000 and 1:10,000 and the satellite image resolution is 0.5 m. Insets show detailed mapping. 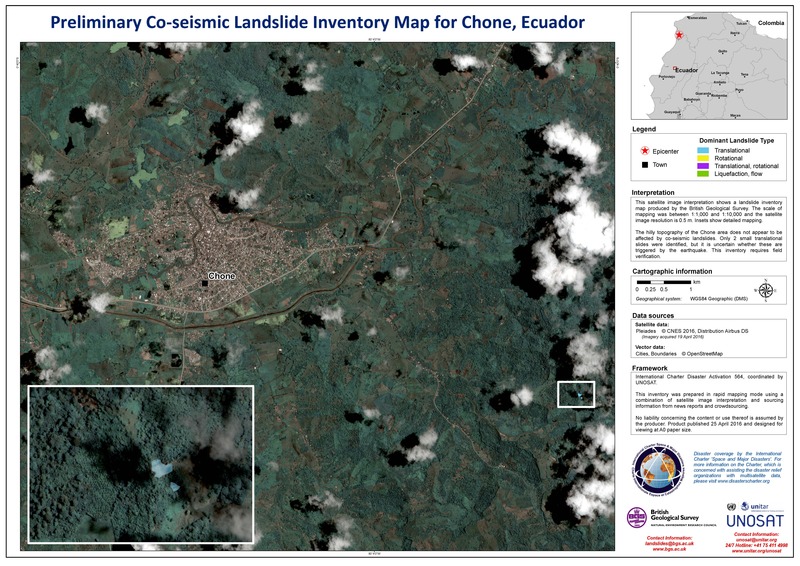 The hilly topography of the Chone area does not appear to be affected by co-seismic landslides. Only 2 small translational slides were identified, but it is uncertain whether these are triggered by the earthquake. This inventory requires field verification.